Drug cartels in Mexico carry out their bloody battles with weapons from the United States. The U.S. now wants to stem the ‘iron river’ flowing south. Gun sellers in border states are required to report it when a customer purchases multiple semi-automatic rifles. Critics along the border say the measure comes too late. It is crowded on the bridge over the Rio Grande between the U.S. border town of Laredo and Nuevo Laredo in neighbouring Mexico. Two lanes in both directions are full of traffic, and there are pedestrians on both sides of the bridge. 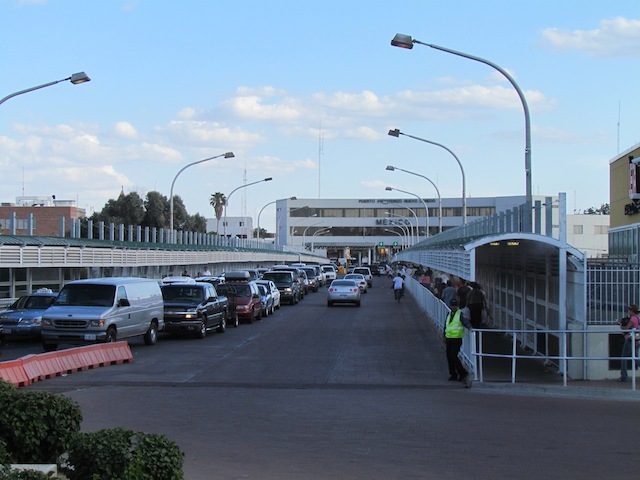 The Texas-bound lanes are especially congested, because of intensive border controls. Wait times for the puerto fronterizo to Mexico are shorter. 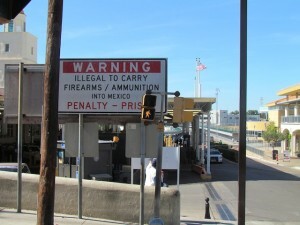 Travelers to Mexico face a warning sign: “Illegal to carry firearms and ammunition into Mexico. Punishment: prison.” In Mexico, unlike the U.S., the sale of firearms is subject to tight restrictions. Still, the warning is routinely ignored, as America is by far the largest source of firearms in Mexico’s drug wars – a bloody battle in which an estimated 37,000 people have died since 2006. The bridge across the Rio Grande between Laredo, Texas, and Nuevo Laredo in Mexico. That conflict is fueled by weapons from the U.S. According to a report published by the American administration, about 87 per cent of the roughly 100,000 firearms that were seized by Mexican authorities between 2004 and 2009 – mostly semi-automatic rifles – originated in the U.S. Roughly 40 per cent of that ‘iron river’ came from sellers in Texas, more than any other state. Salinas, who has a photo on the wall of himself with President Barack Obama, supports a new measure by the administration to mandate arms dealers in the U.S. to help with that objective. As of next week, gun sellers in the border states of Texas, New Mexico, Arizona and California are required to report it when a customer purchases multiple semi-automatic rifles within five business days. According to Deputy Attorney General James Cole, such weapons with a caliber of .22 or more – like the AK-47 – are sought after by drug cartels and regularly found in border area raids. The reporting requirement should help the ATF, the federal bureau of Alcohol, Tobacco, Firearms and Explosives, to “detect and disrupt the illegal weapons trafficking networks responsible for diverting firearms from lawful commerce to criminals and criminal organizations,” he said. Warning sign at the U.S. – Mexico border. But the reporting duty, the first concrete gun control initiative by the Obama administration, is strongly opposed by the gun lobby in the U.S., led by the National Rifle Association (NRA). According to the NRA, the rule is a step towards further anti-gun policies. In their view, it is an unlawful attempt to limit the constitutional right of Americans to bear arms. The gun lobby has filed a lawsuit to block the measure. One of those retailers is Jim Pruett, owner of a firearms store in Houston. That city, the largest in Texas, is the main source of weapons from the state that are found in Mexico. Dozens of guns, including Bushmasters and Berettas, are displayed along the walls of Pruett’s store, attached to a grille. Stacks of boxes with ammunition are on racks. 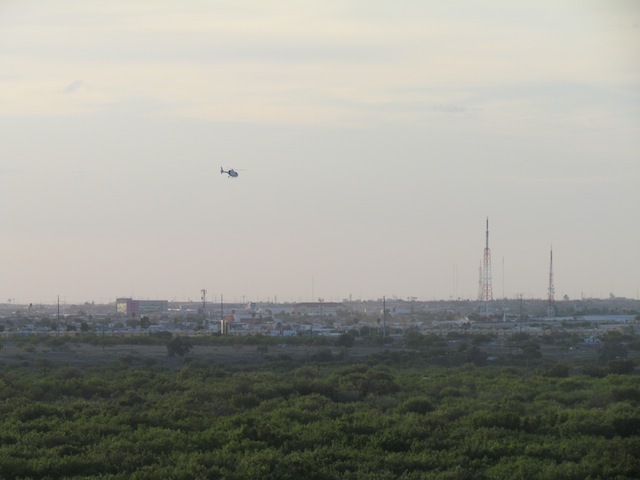 Helicopter patrol over the border area between Laredo, Texas en Nuevo Laredo in Mexico. Mexican foreign minister Patricia Espinosa has praised the American initiative as “a positive step in the right direction”. During a visit to Washington in May, Mexican President Felipe Calderon urged President Obama and Congress to stop the arms supply.